TRIVIA of Noh : Q103 : Which military commander was a drum virtuoso? | Home | Trivia | Q103 : Which military commander was a drum virtuoso? Which military commander was a drum virtuoso? 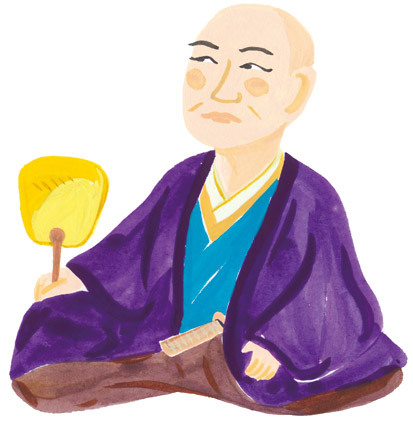 At the time when Toyotomi Hidetsugu, an adopted son of Toyotomi Hideyoshi, was chief adviser to the Emperor, a Noh performance was held at the Jurakudai Palace, with Hosokawa Yūsai in the audience. The drummer was Konparu Mataemon, one of the famous master performers of the time. When he learned Yūsai would be attending, however, Mataemon became unusually nervous. After the performance Mataemon went up to Yūsai and asked gingerly how he liked the drum performance, and was relieved to be complimented. At the post-performance party, he asked Yūsai to play the drum for him and to make the special occasion the most memorable day of his life. Yūsai readily accepted the request and played "Yugyōyanagi." It is said that while everyone was listening entranced, Mataemon sobbed all the way through while pressing his forehead against the floor. Yūsai's drum performance touched the heart of the leading player of the day, so it seems he was already a master of the drum.